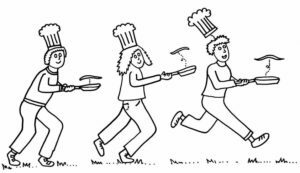 4pm start and the afternoon will include Pancake Tossing Races – for Men, Ladies, and Children. Bring your own frying pan to participate (pancakes will be provided). Followed by a scrumptious selection of sweet pancakes, tea, coffee and squash.